The international coalition enforcing a no-fly zone in Libya is bombing both military and civilians targets to pave the rebels’ way to oil facilities, but the coalition’s raids ‘have nothing to do with the protection of civilians—it’s all about the oil. The combination of U.S. air power, Al-Qaeda’s elements and “freedom fighters” from Afghanistan and Pakistan are proving to be an irresistible force as they seize the oil fields and facilities of Libya. U.S. and coalition air strikes have eliminated almost all the tanks and heavy weapons of Libyan leader Muammar Gadhafi’s forces in the eastern oil town of Ajdabiya, leaving them no chance for defense as rebels managed to retake the town. The UN Security Council imposed a no-fly zone over Libya March 17, however, the U.S. has extended that to attacking Libyan loyalist forces on the ground. 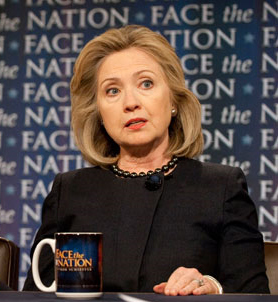 Hillary Clinton, a good Methodist from Middle America, appears to have virtually no understanding of the Arab world. Hillary’s influence over the weak President Obama has opened the doors to Libya and its oil fields to Al Qaeda and the most extreme elements from Afghanistan and Pakistan. 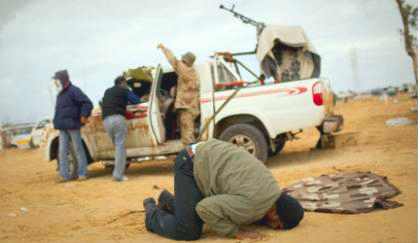 Will the U.S. put boots on the ground to join the Libyan rebels and Al Qaeda? What about the loss of a key town in Yemen to Al Qaeda? We are already bombing the rebels in Yemen. The bombing is being directed by General Petraeus, denied by the U.S., and admitted to by Yemen as cover for the U.S.
What about the $17 billion King Abdallah II of Jordan whose country is being taken over by Palestinians? Is the U.S. going to protect the civilians of Bahrein, now being invaded by the army of Saudi Arabia? Who is going to help Saudi regime, which is now under pressure? Assad a reformer? Al Qaeda, an ally? —what next Hillary?